GEMMA BELL AND COMPANY | NEWS | GET OUT OF TOWN! 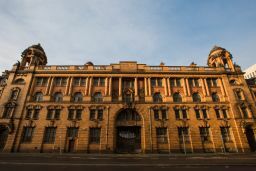 The Zetter Group has confirmed it has now acquired a site to launch its first hotel outside of London in Manchester’s London Road Fire Station building. Following the huge success of Conor Sheehan and chef Jackson Berg’s restaurant Xiringuito in Margate this summer, this moveable project is heading for Liverpool later this year. Watch this ‘mobile’ space! The much-loved Bombay café, Dishoom, is heading north for the winter. The beautiful capital city of Edinburgh is the perfect location for their first restaurant outside of London. Located in the city’s historic St Andrew’s Square, Dishoom will open later this year.